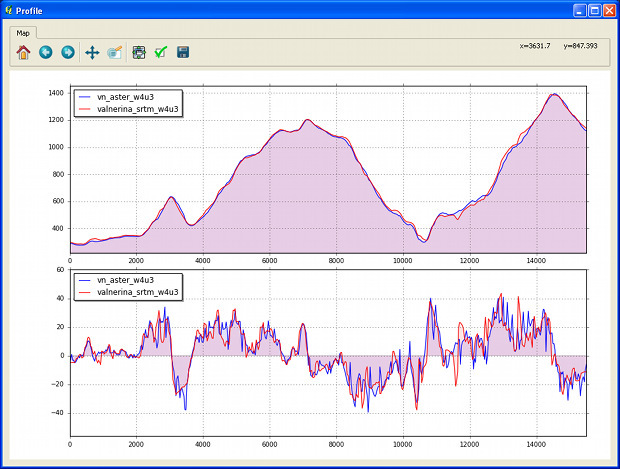 It is an updated and Python-based, independent version of the simulation and deformation modules originally presented in the qgSurf plugin (vers. 0.3.3) for Quantum GIS. It is developed and tested in Linux Mint. Two modules, "geosurface_simulation.py" and "geosurface_deformation.py" make possible to simulate and deform georeferenced surfaces (see example in Fig. below). 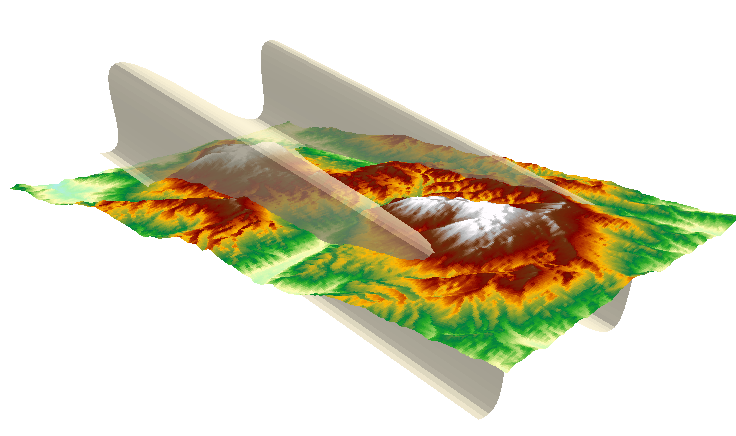 Example of a sheared and rotated sinusoidal surface with geographic parameters matching those of the Mt. Alpi - Mt. Raparo Aster DEM (Lucania, Southern Italy). The view is from NE to SW. Mt. Raparo is at the right. 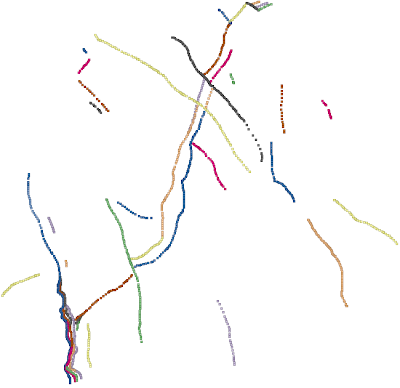 3D visualization created with ArcScene (ESRI).